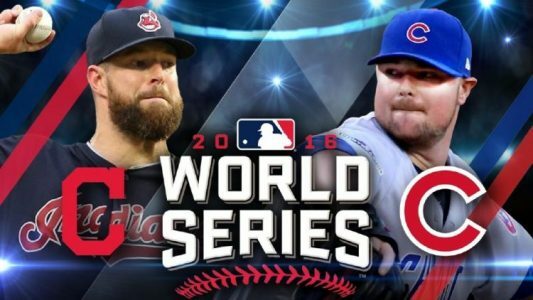 The Chicago Cubs will visit the Cleveland Indians at Progressive Field for Game 1 of the World Series on Tuesday night. Neither team is holding anything back as they look to end lengthy World Series droughts with the Cubs’ ace Jon Lester going up against Cleveland’s dito in Corey Kluber on the mound in the series opener. The game has an 8.08 PM EST start and will be televised on Fox. Read more about the matchup in this Cubs vs. Indians Free Pick. The Chicago Cubs opened as a -110 favorite at Pinnacle with the Cleveland Indians available at +102. The total is set at 6.5 runs with the line movement suggesting money coming in on the under, despite the low number. Lester (1-0 , 0.86 ERA) is 2-0 with three quality starts, an 0.86 ERA and an 0.76 WHIP in 21 innings in the playoffs this year. He has a ton of experience as a two-time World Series champion with the Red Sox and owns a 2.50 ERA in 19 career postseason games. Lester is 4-0 with a 3.72 ERA in eight career starts here in Cleveland. Cubs are 8-2 in their last 11 road games vs. a right-handed starter and 10-1 in Lester’s last 11 starts vs. a team with a winning record. Over is 7-1 in Cubs last eight road games but the under is 10-3 in Lester’s last 13 starts overall. Kluber (1-1 , 0.98 ERA) owns the second best postseason ERA behind Lester among pitchers with more than one playoff start this month. He won both of his previous series openers here in the postseason, tossing seven shutout innings in a 6-0 victory over Boston in the ALDS and 6 1/3 shutout innings against Toronto in the ALCS. Kluber struck out 11 while allowing one run in 7 2/3 innings in his lone career start against the Cubs on Aug. 24, 2015. Indians are 10-1 in their last 11 overall but 3-7 in their last 10 interleague games vs. a left-handed starter. Under is 7-0 in Indians last seven overall but over is 5-1 in Kluber’s last six starts during Game 1 of a series. It’s hard to go against a team that finished the season with a 110-61 record, but playing home at Progressive Field with their ace on the hill makes this a much must-win game for the Tribe.